The beautiful name Gospel Hill comes from the sounds ringing out from Sampson Eagon’s blacksmith shop. 1700s religious meetings occurred in Eagon’s shop, and of course, that included singing. 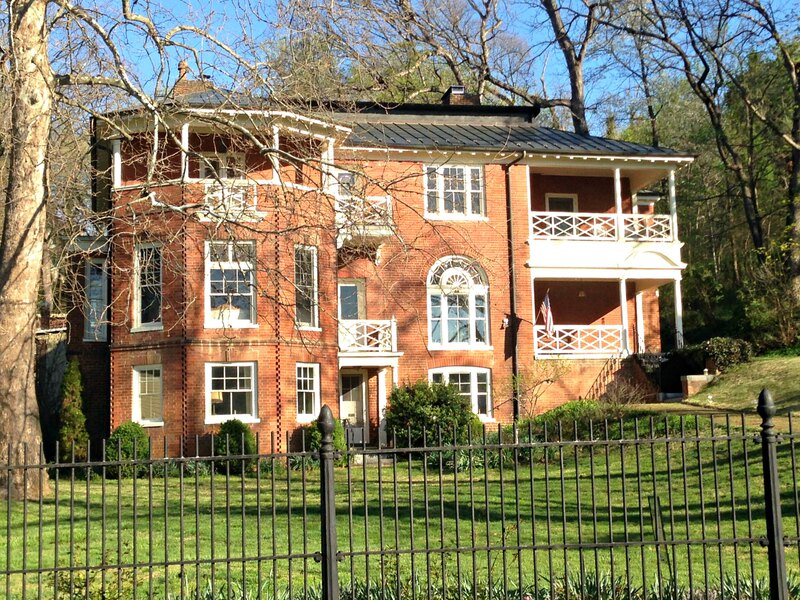 Gospel Hill Historic District is on the National Register of Historic Places and is home to grand old trees and grander homes. 238 E. Beverley Street is a beautiful 1840s home that was remodeled by T. J. Collins in 1915. Of additional interest: the home sits on the site of Sampson Eagon’s blacksmith shop; the place where Gospel Hill got its name. 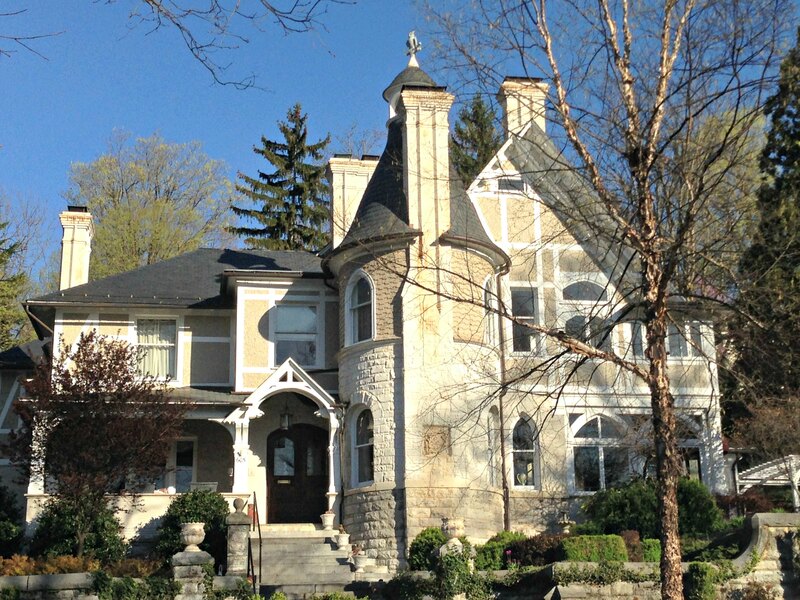 An elaborate Queen Anne called “Oakdene” sits at 605 E. Beverley Street. It was built in 1893 by Virginia Lieutenant Governor Edward Echols and features an owl atop its turret. Kalorama is a street name in Gospel Hill, but it’s also the name of the beautiful home at 19 S. Market Street. 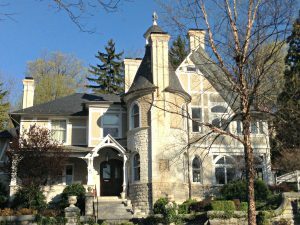 While a private residence now, the home has seen use as a hotel, girls school, and a public library over the years since its 1810 construction. An unusual style, certainly for Staunton, is the 1891 Richardsonian Romanesque home standing at 215 Kalorama Street. T. J. Collins designed it for the City Treasurer, Arista Hogue. The home’s date and the initial A.H. are carved into one of the stones on the façade. 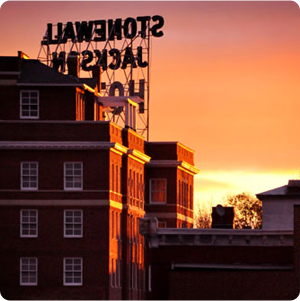 This home is the only one of its style in Staunton. 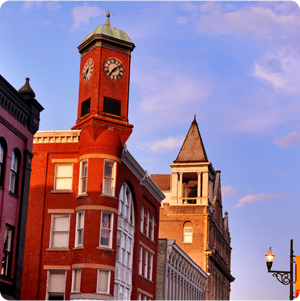 You learned about the First Presbyterian Church and its architectural and historical significance to Staunton, Virginia, and the United States. The church campus initially included a manse – the home of the minister. That manse is now known as the Woodrow Wilson Birthplace. It was built in 1846 in Greek Revival style. It features 12 rooms; in one of the, Thomas Woodrow Wilson was born on December 28, 1856. Wilson went on to become America’s 28th President. 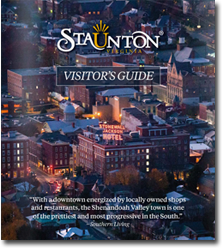 There are at least 12 more sites within Gospel Hill of historic significance marked in the Historic Staunton Foundation walking tour map. Be sure to pick up a copy from their office at the R. R. Smith Center or check out their Flickr Account for a “virtual tour” of Gospel Hill.